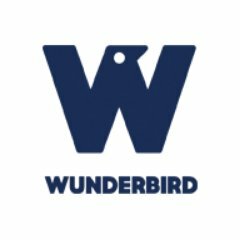 A summer plumaged Great Northern Diver drew us inextricably towards Mumbles Saturday before last where, contrary to recent form, the bird was not only located but also found to be performing extremely well. Although too far out for a record shot, binoculars allowed its active feeding to be observed well and it was nice to see one in such neat condition after an almost total absence of the species during our time on Mull. Closer to hand a roosting group of 17 Turnstone and 4 Redshank were on the old RNLI slipway whilst a single Common Scoter flew strongly out beyond the lighthouse. Best of all though was our viewpoint for this afternoons birding which for the first time in a couple of years found us at the end of Mumbles pier. For those of you who've not been following this long running saga perhaps a little background is in order. 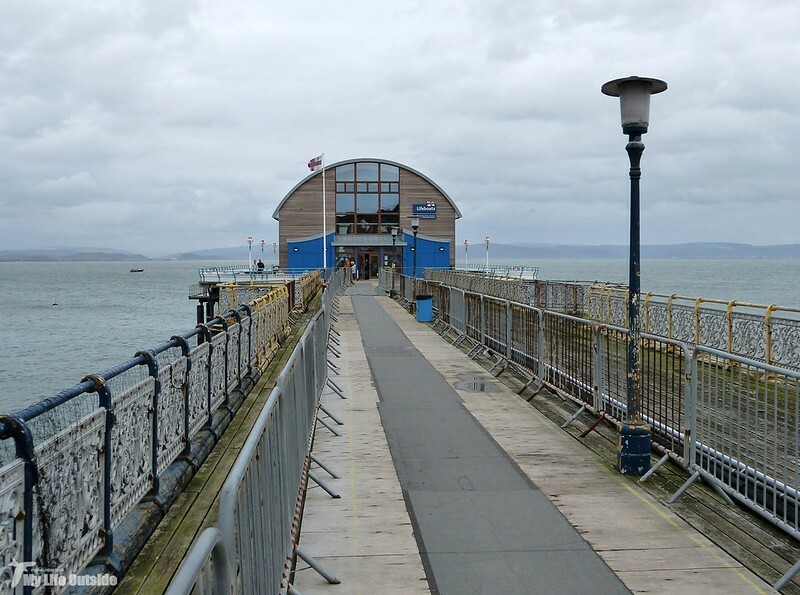 Built in 1898 Mumbles pier has walked the well-trodden path of many of Britain's piers with a typical story of boom and slow decline though thankfully without the devastating fires which have claimed so many of these magnificent Victorian structures. Its last major refurbishment took place in 1956 and despite ad-hoc maintenance during the following years its state today is far from sustainable and resulted in a major redevelopment plan being drawn up. 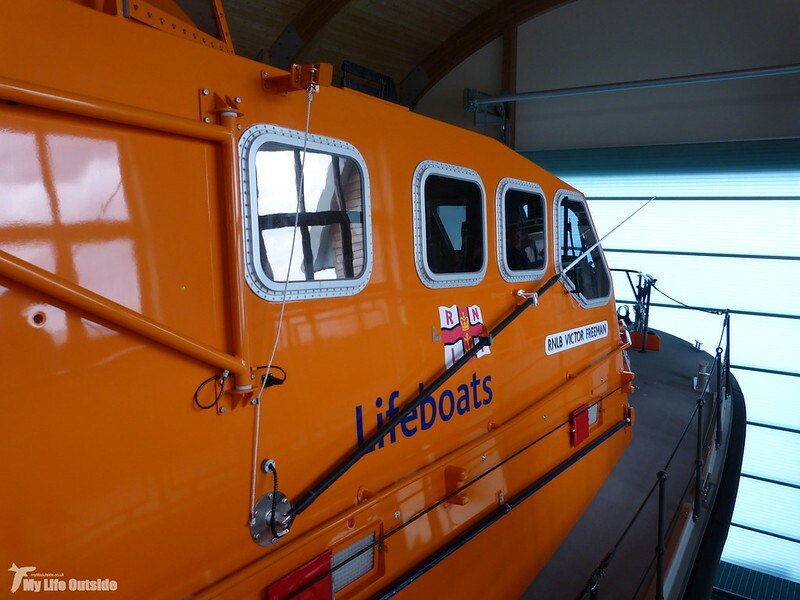 Spearheading this work has been the construction of a brand new multimillion pound lifeboat station in place of the old pier-head with work elsewhere being funded through the sale of land along the foreshore. 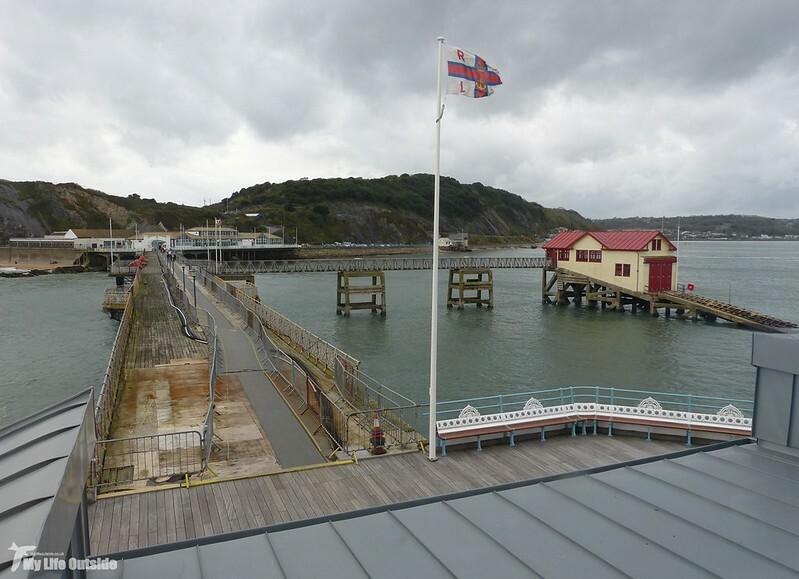 Needless to say various planning wrangles have left much of the plan as just that though thankfully the lifeboat station is now up and running with access via a temporary path along the increasingly decrepit pier. You only need to look at the photo above to see why these improvements are so urgent. The contrast between old and new at the pier-head could not be starker and walking its pristine boards really gives a sense of what these structures would have been like in their hey-day. From fresh paintwork to brass light fittings I've rarely, if ever, walked a pier so well presented and it's nice to see that there may even be a way back for the Kittiwake colony which once nested here (they're currently using shelving erected on the old lifeboat station). 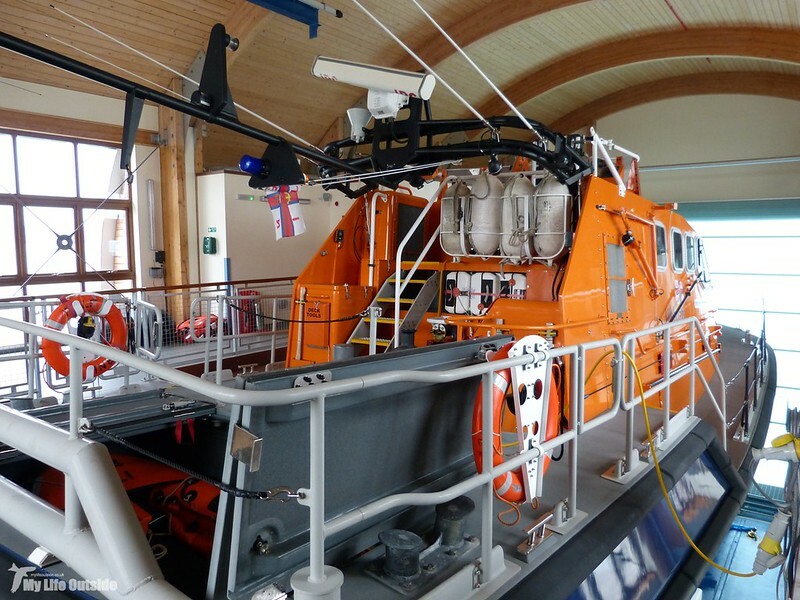 Of course we couldn't leave without visiting the new lifeboat itself and having already seen a number of the RNLI's latest Tamar class I can once again confirm that up close they certainly make for imposing vessels. 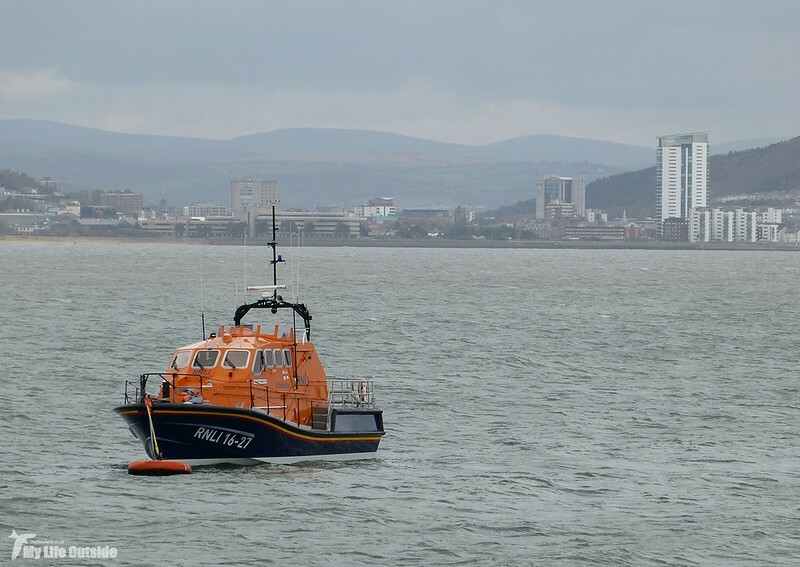 Out on the water it was nice to see the Mumbles previous Tyne class lifeboat moored up. I wonder what her future now holds. Visit complete it was back onto dry land where we watched a Rat rapidly darting in and out amongst the rocks. 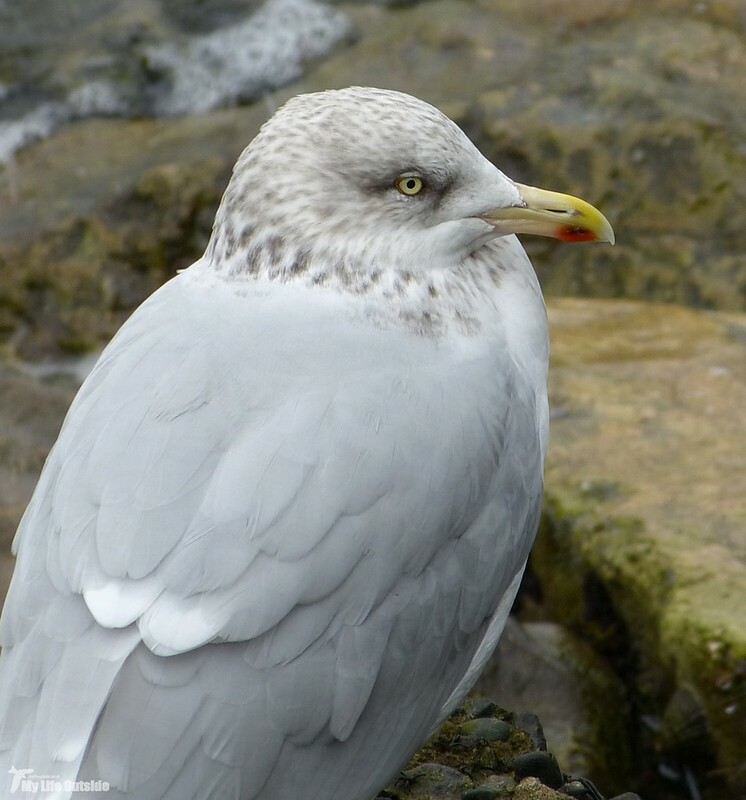 Trying to get the camera onto it was a near impossibility so instead I made do with one of the numerous Herring Gulls. Far more obliging. With a bit of time still left on our parking ticket we took a brief detour up onto Mumbles Hill but struggled to find much against a rapidly strengthening gale. Even the Stonechat we spotted looked suitably windswept and didn't stick around for long. In the end it came down to Bracelet Bay and its ever reliable flock of Mediterranean Gulls to round off the afternoon with a group of 18 birds roosting down on the rocks. A lovely way to finish and not a moment too soon with the rest of the day blighted by heavy rain. 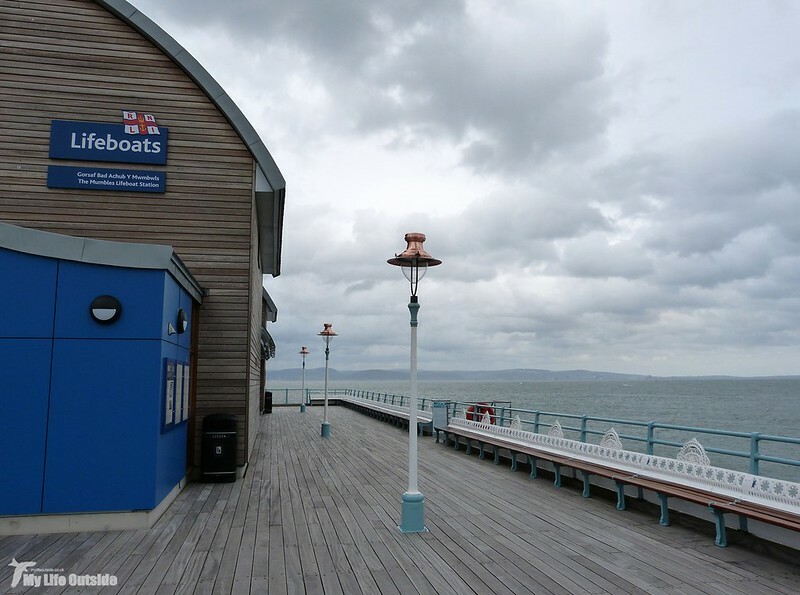 I hope they manage to fund the rest of the pier. It seems a little contrary to start at the seaward end. I know what you mean Adrian. If the funds aren't found the RNLI may find their lifeboat station slightly more difficult to reach.